Living a Fit and Full Life: Board Books to Love from Zondervan + A Fun Berenstain Bears Valentines Day Activity Book! Board Books to Love from Zondervan + A Fun Berenstain Bears Valentines Day Activity Book! Read and Play Baby Bible by Gustavo Mazali is an adorable board book for little ones! 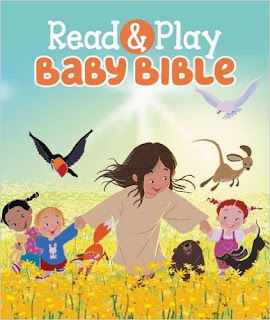 I absolutely love that this Read and Play Baby Bible encourages parents to interact with little ones during story time by singing, tickling and so on. It an absolutely fun way for kids to go to bed and know that God loves them. With 22 fun stories little ones will never get bored. The illustrations throughout this book are beautiful and my family and I really enjoy this book! You can find Read and Play Baby Bible by Gustavo Mazali on Amazon, Barnes and Noble and other bookstores. 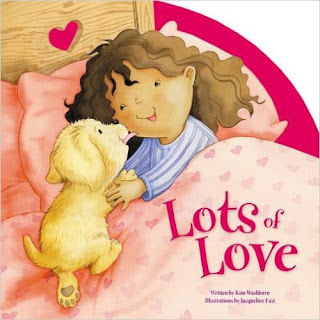 Lots of Love by Kim Washburn is an incredibly fun book filled with wonderful ways to show love. My kids and I love the rhyming as well as the beautiful illustrations on each page. I often find my kiddos just flipping through this book looking at the cute illustrations. My daughter who is 4 really enjoys this book and I love that it teaches us the special bonds of love between families and friends. This adorable book is perfect for bedtime and would make a terrific gift for any child! You can find Lots of Love by Kim Washburn on Amazon, Barnes and Noble and other bookstores. 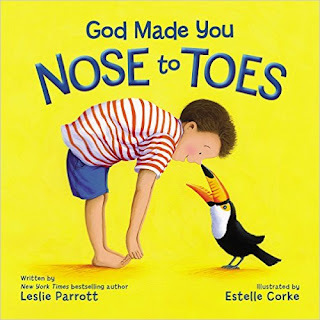 God Made You Nose to Toes by Leslie Parrott is adorable! I love that this book teaches kids that God made them perfect just as they are. I also love that this book has an adorable little toucan to help kiddos learn how much God loves them. God Made You Nose to Toes by Leslie Parrott is a board book that is absolutely perfect for little ones! You can find God Made You Nose to Toes by Leslie Parrott on Amazon, Barnes and Noble and other bookstores. I'm Going to Give You a Bear Hug! 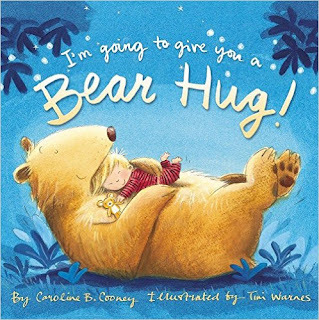 by Caroline B. Cooney is an incredibly fun book for little ones! The whimsical rhymes and beautifully fun illustrations keep kiddos attention perfectly throughout the story. I absolutely love how playful this book is. My kids have been asking to read this every night before bed because it's an incredibly fun way to end the day. I'm Going to Give You a Bear Hug! by Caroline B. Cooney is an awesome book that just about any kid will love! You can find I'm Going to Give You a Bear Hug! by Caroline B. Cooney on Amazon, Barnes and Noble and other bookstores. Celebrate Valentine’s Day with the Berenstain Bears with puzzles, activity pages, and more than 50 reusable stickers in The Berenstain Bears Hugs and Kisses Sticker and Activity Book. Featuring Papa, Mama, Brother, Sister, and Honey and the rest of the Bear Country gang, kids are sure to have loads of fun as they help Sister Bear through a maze to find her Valentine, solve word puzzles with Brother, color with Honey Bear, and a whole lot more! 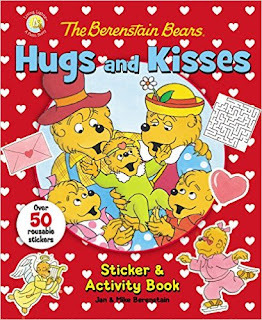 The Berenstain Bears Hugs and Kisses Sticker and Activity Book by Jan & Mike Berenstain is the perfect gift for kids for Valentines Day! I always try to get my kids a little something for Valentines Day and this activity book is just perfect. Filled with incredibly fun activities kids will be entertained for hours with the fun loving Berenstain Bears. My kids also love that it's filled with stickers that they can use to decorate their pages. The Berenstain Bears Hugs and Kisses Sticker and Activity Book by Jan & Mike Berenstain is an adorable activity book that kids are sure to love! You can find The Berenstain Bears Hugs and Kisses Sticker and Activity Book by Jan & Mike Berenstain on Amazon, Barnes and Noble and other bookstores.